The functionality of the best sleeper sofas is nothing short of magic. With minimal effort, a sleeper sofa can turn any room into a complete bedroom or guest room. It is easily one of the most versatile, useful pieces of furniture you can grace your home with. Not long ago, even the best sleeper sofas were unwieldy, unreliable, and uncomfortable. They used to excel in one area and one area only: inflicting pain on your poor back in a single night. Now, however, modern society has fine-tuned them to be as comfortable as normal beds. With this article, we will help you find the perfect sleeper sofa for your home by sharing our list of what we consider being the best sleeper sofas on the market. We will walk you through 10 different products, covering both the positives and the negatives. In just a few moments, you will have all the information you need to make a wise purchase when shopping for the best sleeper sofa. 1. 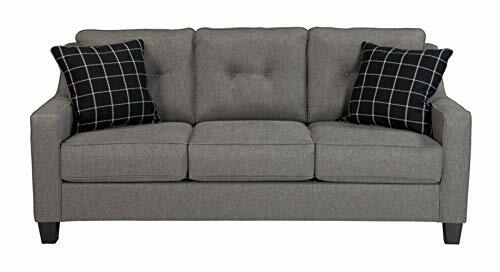 What Is the Ideal Frame for a Sleeper Sofa? Frames made of kiln-dried hardwood or a combination of kiln-dried hardwood and furniture-grade plywoods tend to be not only the strongest but the most durable as well. You will sometimes find frames made of softer woods, like the pine. These types of frames are best avoided. 2. What Kind of Mechanisms Should I Choose? Make sure your sleeper sofa has a high-quality open-and-close mechanism. The best sleeper sofas lift up and out in a single seamless motion. If you hear any squeaks or feel it stick anytime during the process, it is not the best sleeper sofa. Something to keep an eye out for is a lock-down bar, which makes sure your sofa closes properly and opens easily. If you can take a look at the sleeper sofa before you buy it, check the opening mechanism carefully for any parts that seem too loose or particularly vulnerable to stress. Also, pay careful attention to the edges of the sofa's inner mechanisms. Feel the edges to make sure they are smooth. Otherwise, they are likely to catch sheets and blankets, possibly even tearing them. Just to be safe, when you finally settle on a sofa and bring it home, remember to always remove any sheets and blankets before closing it. Leaving objects inside can lead to parts getting misaligned. 3. How Do Sleeper Sofa Mattresses Compare to Regular Ones? In general, the mattresses of sleeper sofas are firmer and more flexible. They need to be firm to prevent you from feeling the inner mechanisms underneath. They also need to be flexible enough to fold easily. To accomplish this, most sofa bed mattresses use a dense, resilient, and easily compressible foam core. 4. Where Can You Buy One? With how popular sleeper sofas have become, you can now find them in most furniture stores. You can also buy them online, from sites like Amazon. 5. 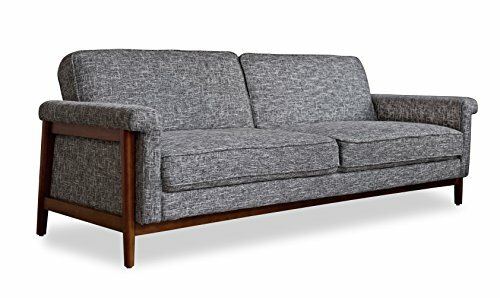 What Can I Do to Make a Sleeper Sofa More Comfortable? When you bring your new sleeper sofa home, you might find it a bit uncomfortable at first. It may even cause some soreness. This is a common issue that will usually go away. There are, however, some tricks for making any sleeper sofa more comfortable. You can fill in the gaps where the folding occurs. You can also add a mattress topper (the easiest method). You may also want to experiment with different types of bedding. The following products were reviewed based on the following parameters Features, Pros & Cons, Price, Where to Buy, and Warranty. We chose these parameters to give each product a fair, comprehensive, and unbiased review. These parameters allow us to give all of our readers the information they need to make the smartest purchase possible. These sleeper sofas fall within the price range of $300 to $1000. The main price determinants include materials, size, inner mechanisms, and brand name. The Rivet Elliot Easy-Pull Modern Sofa Bed has solid beech wood legs with a rich, espresso-color finish. Converting it from a sofa to a bed is as simple as removing the cushions and pulling the mattress out. For the ultimate convenience, it comes with no assembly. Its dimensions are 36.6" by 71.3" by 35.4". It comes with a 1-year warranty, and returns are free for the first 30 days. 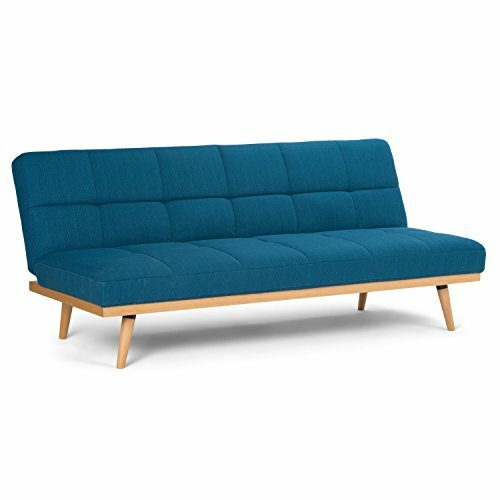 The Edloe Finch SL01 Mid-Century Modern Futon Sofa Bed Sleeper features a solid wood walnut stained frame. It comes with a premium foam padded cushions over a seamless suspension system. It requires minimal assembly (15 minutes). To ease your mind, Edloe Finch provides a generous 2-year warranty. 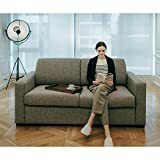 The Euradesign Living Room Furniture Sofa - Pull-Out Sofa Bed is the best sleeper sofa for small spaces, with its loveseat-to-sleeper conversion. It features a classy design to grace any room a sense of elegance. Its mechanisms are easy enough for a child to use and requires just a few seconds. The bed size of a single chair is 32.68" by 82". 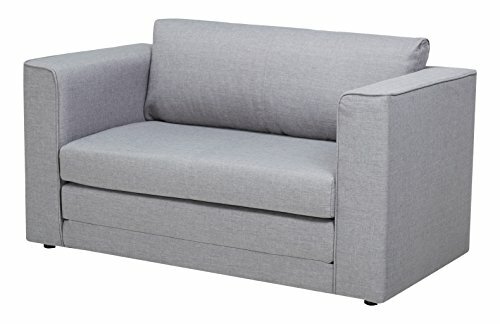 As a loveseat, its dimensions are 53" by 82". provides a generous 2-year warranty. You can request it via customer service. The Benchcraft Brindon Contemporary Sofa Sleeper features a frame constructions tested to simulate the home and transportation environments for improved durability. Components are secured with combinations of glue, blocks, interlocking panels and staples. Seats and back spring rails are cut from mixed hardwood and engineered lumber. Stripes and patterns are match cut. All fabrics are pre-approved for wearability and durability against AHFA standards. Easy to lift mechanism with innerspring mattress. The Simpli Home Spencer Sofa Bed comes in two colors: a dark chocolate brown and a deep Mediterranean blue. It uses metal support legs for optimal stability, as well as a frame of solid wood. Its mattress is made of foam and polyester fiber for the ultimate comfort. For around $100, Simpli Home will include expert assembly. 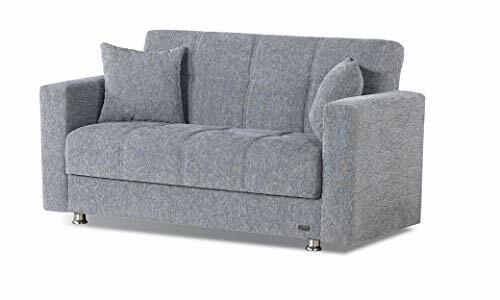 The Container Furniture Direct Ava Collection Modern Reversible Fabric Upholstered Living Room Loveseat and Sofa Bed comes in a modern gray heightened by its expect craftsmanship. It measures 27" L by 53" W by 29" H and weighs 61 pounds. It requires minimal assembly, but for around $100, you can have experts do it for you. 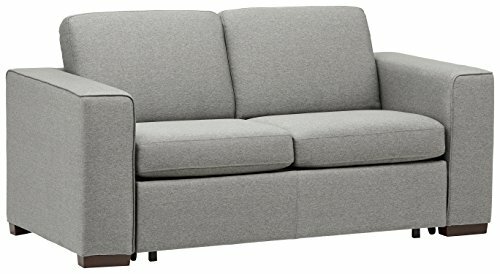 The Mechali Products Furniture Serta Sofa Sleeper Convertible into Lounger/Love Seat/Bed comes in twin, full, and queen sizes. With its compact form, it is ideal for small spaces, apartments, and dorm rooms. This sofa is particularly popular among the elderly due to its topnotch comfort. Its functionality is unrivaled: within seconds you can convert it between sofa, lounger, and bed forms. It includes free curb side shipping within the US. The BEYAN Niagara Collection Contemporary Upholstered Convertible Storage Love Seat with Easy Access Storage Space comes with two pillows. It features the click-clack storage technology, allowing for comfortable seating for two, as well as easy conversion. Underneath the seat, it comes equipped with storage space. It uses a wood frame and chenille fabric. 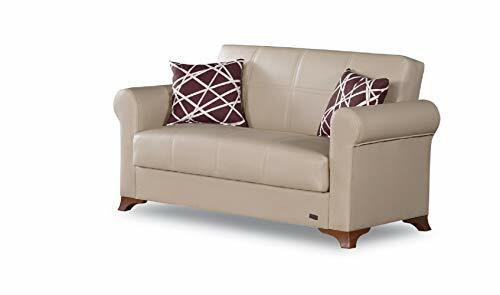 The BEYAN Yonkers 2016 Collection Modern Convertible Bonded Leather Loveseat with Easy Access Storage Space comes with two pillows and requires only minimal assembly. It measures 61" L by 31" D by 34" H. It features a sturdy construction with its fine wood and PU leather construction. With its metal frame, it should last you for years to come. 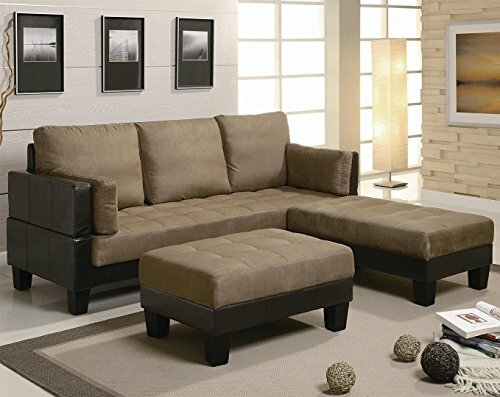 The 300160 82" Fulton Contemporary Sofa Bed Group with 2 Large Ottomans Vinyl Base with Microfiber Top and Back in Two-Tone Brown and Tan Finish combines comfort and style. It comes wrapped in brown microfiber and has a brown vinyl base. 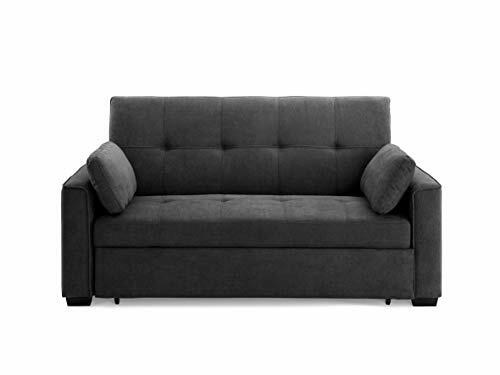 Its dimensions measure 82" L by 62" W by 16.5" H.
After reviewing these 10 products, we decided the best sleeper sofa could be none other than the Rivet Elliot, which comes at the moderate price of $900 (price rating: $$). Its conversions are completely seamless, and its design is adaptable to any room. If that is not enough, it is one of the few sleeper sofas out there that come fully assembled. You can not do any better.